SSC CHSL Result had been declared on 29 July 2016 at 09:00 pm. You can check it from below given link. Combined Higher Secondary Level or 12th level exam is one of the top in terms of candidates appearing and conducted every year by Staff Selection Commission. This test is held to get eligible candidates for a total of 6578 vacancies of Lower Division Clerk (LDC), Data Entry Operator (DEO), Postal Assistant and Sorting assistant posts. 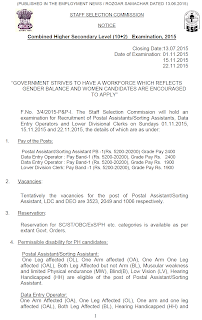 Staff Selection Commission is going to fill 6578 posts through CHSL-2015. 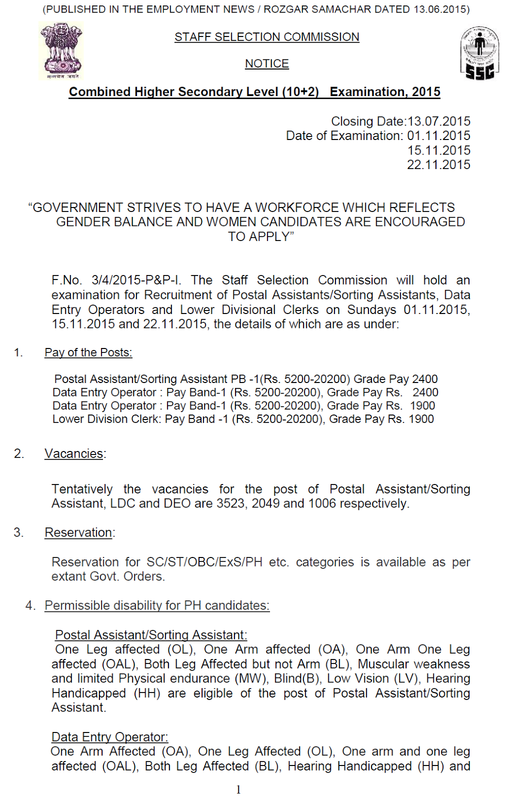 The vacancies for the post of Postal Assistant/Sorting Assistant, LDC and DEO are 3523, 2049 and 1006 respectively. 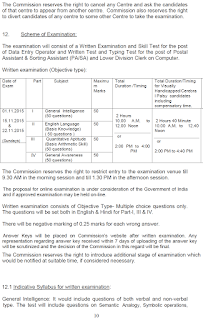 The test was held on various dates in November and December 2015. Now the process of preparing the results is under way. Here you will get latest updates on SSC LDC Exam Result 2015. You can check the status from the direct link provided below. The result of SSC CHSL 2015 will be announced on 22 July 2016 as per official info. This is one of the main test in which more than two million candidates appear every year. The latest news is that the LDC November / December 2015 results are going to be announced on 22 July as per the latest info by SSC. We will update you as soon as there is any latest news on SSC Result of LDC 2015. Each candidates had to score more marks than cut off decided by SSC in order to qualify. Based on previous years analysis and paper of this year, here are the expected cut off scores. After the declaration of SSC CHSL result, candidates will be called for Skill test which is to determine candidate's ability of typing on computer as well as knowledge of basic computer knowledge and programs. 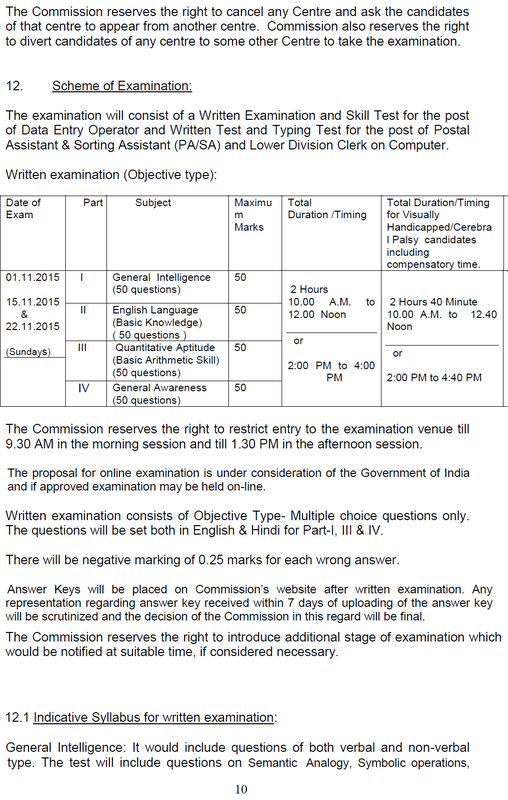 The exact dates of this test and schedule will be available after declaration of SSC LDC Exam Result 2015. Staff Selection Commission organized LDC DEO or we can say Combined Higher Secondary Level examination on following dates. The test is organized by each SSC regional office of the particular region. Now the results will be announced on above given dates on official website ssc.nic.in. The Combined Higher Secondary Level 10+2 level exam was held in two sessions on above given dates. The eligibility for this test is 12th or intermediate and is the main reason behind so many applicants. Also SSC jobs are very popular among the youth of India who want to get a govt job. SSC Combined Higher Secondary Level Lower division Clerk Results are currently under process and the status can be checked from above given link. As for the test pattern is concerned, SSC CHSL consist of 200 questions which are to be attempted with allowed time of 2 hours. All those questions have been asked 50 each from Reasoning, General knowledge, english and Quantitative aptitude. If any candidate gives wrong answer, then negative marking of ¼ applies for each 1 mark question for wrong answer. Meanwhile SSC 12th level Result can be checked from here. We will provide you a direct link to result pdf in which the roll no. / registration number of candidates will be listed. Staff Selection Commission will also declared the Write-up / cut off for the exam in which is specify that how many candidates have been shortlisted for next round. We are going to update you as soon as SSC Lower Division Clerk result 2015 got announced. As far as the marks secured is concerned, the marks obtained by the candidate will be declared within 10 days from the date of declaration of LDC results. We are going to update you as soon as SSC CHSL Marks got declared. Marks obtained in each section can be checked by the candidate after release.